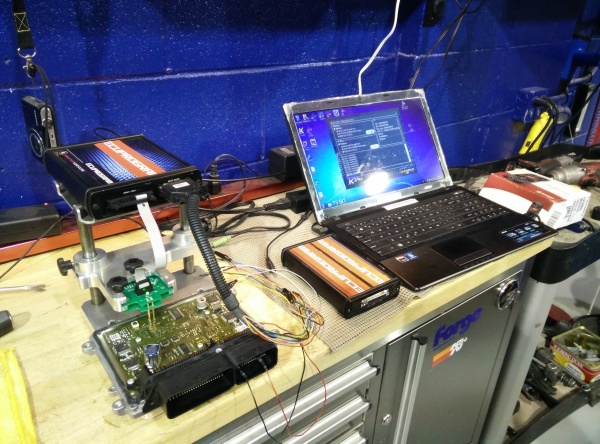 How Can ECU Remapping Improve Your Car? When you buy a car loaded with the latest technology, you might assume that it's in peak condition, perfectly tuned and ready to deliver optimum performance the minute you drive it away from the dealership. Sadly, you'd be mistaken. In fact, almost every new vehicle sold to the public has been intentionally de-tuned to a level of performance well below its true capacity. But you can recover your vehicle's lost potential through something called ECU remapping. ECUPROGRAM is committed to giving you the best results and excellence. We offer only the very best in custom ECU chiptuning / remapping, car tuning and vehicle engine tuning using the latest ECU programming techniques and software available. Our core technical skills are combined with a passion for outstanding car performance tuning and customer service in everything we provide to our customers. Custom tuning: Specially for heavy modifications done on the vehicle such headers, bigger injectors, race octane fuel, bigger turbos, etc. These results are achieved through specialized remapping of the computer's engine of your vehicle. Gains vary by a number of factors including after-market modifications (intakes, exhaust system, etc. ), general wear and tear on the vehicle and how well the vehicle has been maintained. ECUPROGRAM will carry out a full diagnostic check prior to remapping. We always recommend high quality fuel like octane 91 or octane 93/94 or racing fuel but it is not essential unless strictly specified. Please note that all vehicles existing safety features remain in tact. If at any time you sell or take your vehicle to the dealer for services and wish to remove the tuned software, we will do this at NO COST although the software will add to the value of your vehicle.